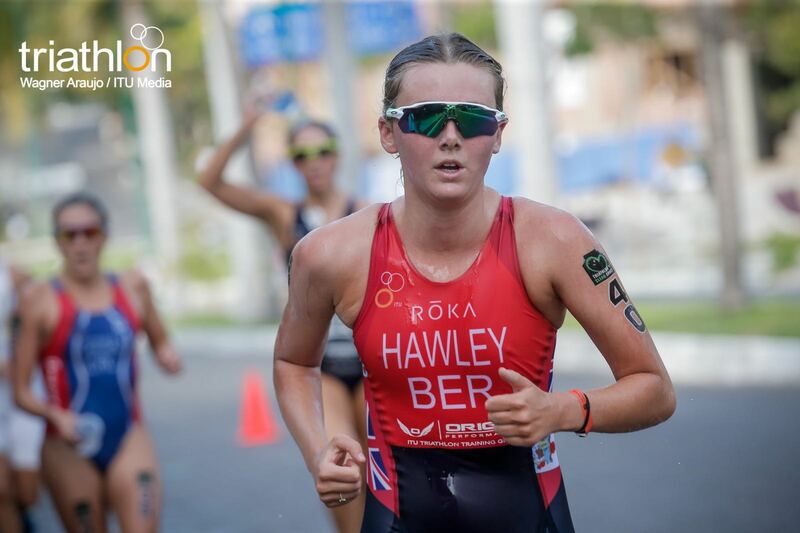 Yesterday on the same day of the Bermuda Triathlon Association’s Olympic Distance National Championships, albeit too late to be copied, www.islandstats.com reported Erica Hawley competed in Mexico. Hawley raced in the World Cup in Huatulco, Mexico and finished 18th. “I came out of the water in 9th place just 10 seconds behind the first 8. Our “chase” pack quickly caught on to the leaders and we were a big pack of 20+ for the rest of the bike. I had a pretty decent run but did suffer on the 2nd lap of the run due to the heat,” continued Hawley.